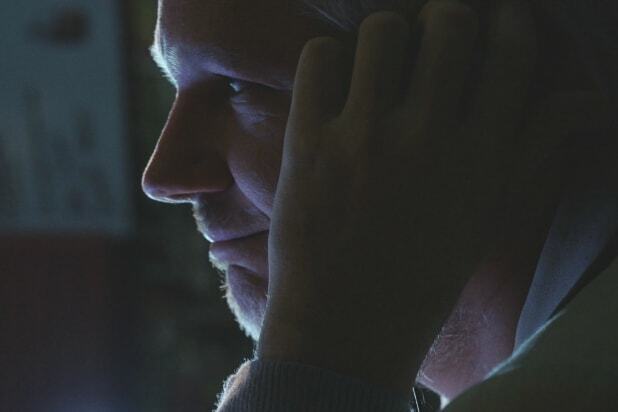 If Laura Poitras’s documentary about Julian Assange, “Risk,” does anything, it shows how blasé it can look to disrupt the world these days. A portrait in catered seclusion as both legal necessity and performance, it will neither turn the WikiLeaks founder’s fans into doubters, nor his doubters into fans. But it does seem as if the Academy Award-winning director of “CitizenFour” — given unprecedented access to filming Assange as his reputation went from idealistically minded to questionably craven — became a teensy bit of an ex-devotee over the course of shooting and editing “Risk,” even if her own commitment to exposing the realities of the security state hasn’t wavered. Unfortunately, that story isn’t burrowed into fully enough to deepen the final product. The title carries a few connotations: There’s a dedicated hacker’s shifting perception in the wider world, always suspect due to a lingering sexual assault charge against him from two women in Sweden but now carrying the taint of possibly having collaborated with Russia in the release of DNC communications during the 2016 presidential election. And there’s Assange’s self-stated, self-mythologizing theory that to effect needed political gain, you sacrifice things (like anonymity). But it also refers to Poitras’s own responsibilities as an activist journalist invited into the inner circle, expected to convey the collaborator’s version. Early on, narrating from a production diary, Poitras calls Assange “brave” while recognizing that he’s also “managing his image.” She worries if this project blurs the lines. The prevailing mood in “Risk” is of a like-minded documentarian trying to capture a movement she believes in while being stymied by the impenetrability of its leader. Even when she’s with him in his tiny room at the Ecuadoran embassy in London, where he’s been hiding under diplomatic asylum since 2012, Poitras is clearly concerned by a growing belief that he’s not to be trusted. It says something, after all, that when Poitras was first contacted by Edward Snowden as a conduit for his leaks, she didn’t connect the former CIA employee with her then-primary movie subject, the world’s foremost document dumper. (Assange did assist in getting Snowden to Russia, however.) In another narrated diary entry, Poitras discloses that Assange yelled at her, accusing her of “dividing the community” by not publishing the Snowden materials through WikiLeaks. Assange has declared “Risk” a betrayal, however, mostly because Poitras addresses the fallout from the assault claims against him. Hashing out a legal strategy, his female lawyer looks incredulous that he blames radical feminism for his plight. Another thread in the film — the efforts of Tor Project activist and Assange cohort Jacob Appelbaum on behalf of digital privacy — had to be amended after “Risk” first premiered at Cannes last year: Appelbaum was later accused of sexual misconduct and bullying by multiple women, one of whom, Poitras reveals after acknowledging her own brief relationship with Appelbaum, was a friend. Does this movement’s dedication to revealing excesses of power apply those standards to its own alpha males? Like the huddled hush of “CitizenFour,” Poitras works in a space of intimacy and paranoia: outsides looking in, and vice versa. Assange’s face has a mesmerizing opacity, but with glints that reveal. He clearly likes being surrounded by accommodating employees, whether they’re feeding him or helping create a disguise. Talking about principles, he can sound vague and disinterested, whereas telling people what to do seems to carry a narcissistic thrill. A shot of Assange being guided through a thronging crowd outside a London courthouse has an eerie rock-star beauty, but a later one of him being interviewed by Lady Gaga in the cramped confines of the embassy suggests a certain banal vanity. Those moments help give contour to the notion that “Risk” is a portrait, but they still feel wanting, because all the while, Poitras seems unclear how to reconcile her personal closeness to this project, which is both intriguing and infuriating. Slipperiness is at the core of who Assange is, but Poitras — an understandably cagey person, given how targeted she’s been by U.S. authorities — seems hesitant to lay bare the contradictions in her work and engage in them directly. In the fraught relationship between controlling subject and probing filmmaker who start out as comrades in activism, the tension should be explored, not glided over. It leaves “Risk” feeling like the outline for a dozen different documentaries, instead of a complete one itself. 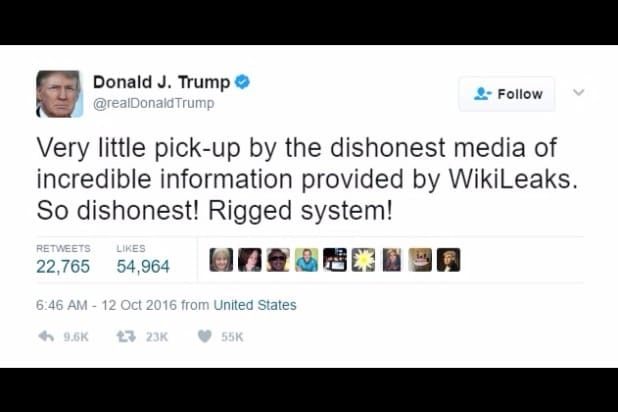 Over the years, Republicans — particularly Donald Trump supporters — have done a 180 (or a full 360) in their remarks about WikiLeaks and its founder, Julian Assange. When he leaked on Hillary Clinton’s campaign in 2016, some Republicans said he was doing America a great service. But now the Trump administration is poised to attempt to convict Assange and WikiLeaks for their leaking activities. Here are five times Trump and his supporters have flipped on the matter.